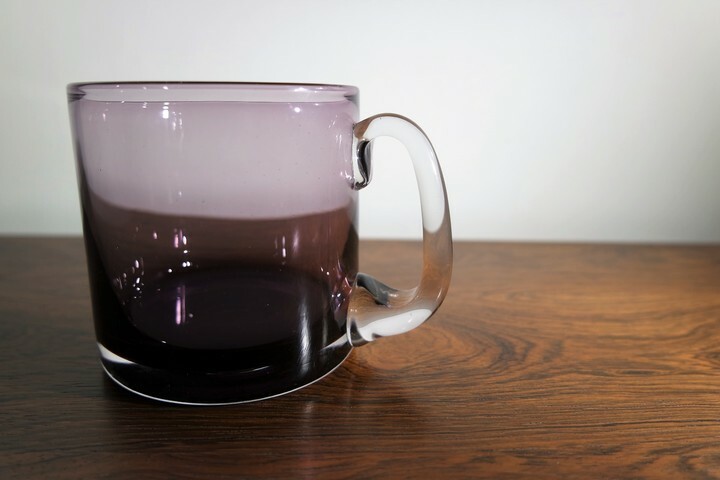 Purple glass tankard by Ronald Stennett Willson for Wedgwood Glass. Excellent condition, pontil to base (no mark). 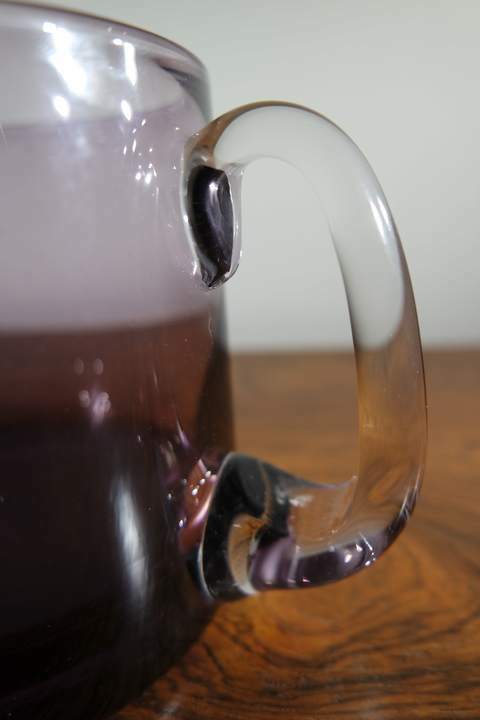 Ronald Stennett Willson set up his own factory, King’s Lynn Glass, in 1967 producing high quality modern tableware and ornamental glass, all handmade. 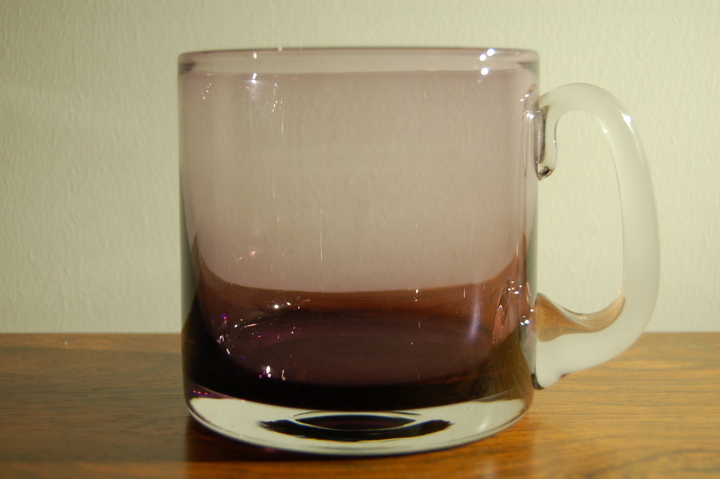 The success of King’s Lynn Glassworks led it to being bought out by Wedgwood Glass, becoming a subsidiary and completely owned by Wedgwood in 1969, at first keeping its original name but later becoming Wedgwood Glass. 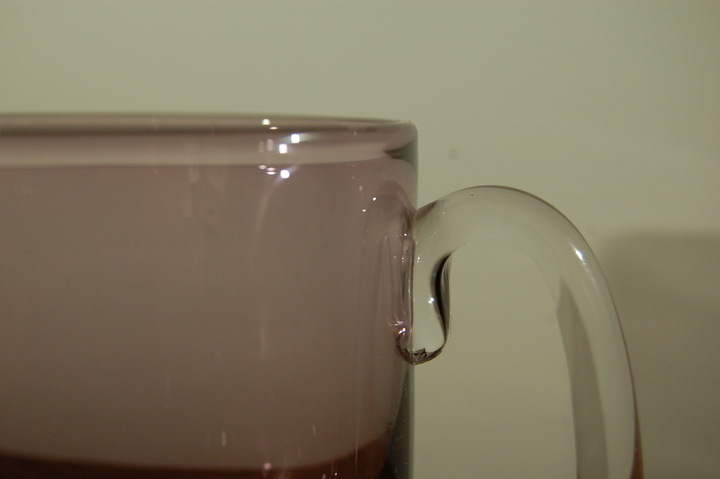 Stennett Willson stayed on as Managing Director and Chief Designer until the 1970s, finally retiring in 1979.